My Lords, colleagues, distinguished ladies and gentlemen. I am greatly honoured to welcome you all this morning to this very important conference on the Administration of Criminal Justice in Nigeria. The dysfunctionality of the Nigerian Justice System and in particular, the criminal justice administration is well known to all of us operating in the Justice Sector. Perhaps it is even better known by ordinary citizens who remain at the receiving end of this system. It has long been recognized that unless something was done urgently, the crises in the justice sector could undermine rule of law in the country with grave consequences. To some extent this is already happening. Luckily, the problem has been receiving concerted attention even if not in sufficiently coherent manner, but clearly, we are making some progress. For instance, at the beginning of August this year, a national summit on Justice was convened by the Federal Ministry of Justice, under the leadership of the Hon. Attorney General and Minister of Justice, Abubakar Malami SAN, with the theme ‘Reforming the Justice Sector for National Development’. At the Summit a new National Policy on Justice 2017 was lunched. I believe there is currently an on-going sensitization and dissemination exercise across all geo-political zones in the Country. Earlier in April 2016, a New National Judicial Policy was lunched by the National Judicial Council under the leadership of the then Chief Justice Mahmud Mohammed. The primary objective of the policy is to ‘promote and ensure the highest possible standard of qualitative justice delivery’. 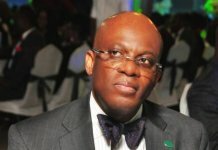 Since then, several initiatives have rolled out to ensure the effective implementation of this policy including the recent constitution by Chief Justice Walter Onnoghen GCON, of a Committee to monitor trials of corruption and financial crime cases across the country under the Chairmanship of Justice Suleiman Galadima JSC (rtd). With respect to Criminal Justice Sector in particular, one of the most important initiatives was the enactment of the Administration of Criminal Justice Act on 13th May, 2015 by the administration of President Goodluck Jonathan GCFR. This legislation represents a major attempt to revamp criminal trials. It introduced several innovative measures to achieve speedy trials as well as shift focus from punitive justice to restorative justice. The Act also sought to achieve greater balance between the interest of the victims of crime, the society and the defendant and promote more effective collaboration between the various institutions of the criminal justice system. 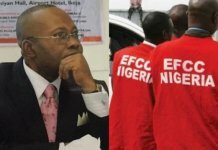 “The purpose of this Act is to ensure that the system of administration of criminal justice in Nigeria promotes efficient management of criminal justice institutions, speedy dispensation of justice, protection of the society from crime and protection of the rights and interests of the suspect, the defendant and the victim”. We know from experience, that the Nigerian Criminal Justice system is predicated on complex matrix of several institutions structured along Nigeria’s expansive and equally dysfunctional federal system. This stated objective of the Administration of Criminal Justice Act is therefore unattainable unless all levels of Nigeria’s Federal System are aligned and work collaboratively to achieve the purpose of the Act. My Lords, distinguished colleagues, ladies and gentlemen, it was to promote the purpose of this Act, to achieve a reformed criminal justice administration that the Nigerian Bar Association under my leadership prioritized the advocacy not just for the adoption and domestication of the ACJA across the Country, but also to enhance the capacity of agencies and personnel involved in its implementation. We also hope to create appropriate platforms to review, share experiences and identify the difficulties encountered in the implementation of the Act so far, and articulate improvements. Perhaps it should be clear at the onset that the objective of our advocacy is not to coerce or compel adoption of the Act by all States regardless of their prevailing circumstances. Indeed one of the key objectives of the New National Justice Policy as stated in Part 2 of the Policy is to “Preserve and maintain the plural character of the Nigerian legal system” That means constituent parts of the Nigerian Federation must retain their capacity to enact or promulgate laws that are suitable to their respective circumstances. Nevertheless, the Nigerian Bar Association believes that within the context of our federal system, it is possible to promote alignment of objectives of our laws and legal principles, synergy of our institutions and acceptance of efficient institutional processes based on national and indeed internationally accepted standards. As at now, 8 States have adopted and passed the Administration of Criminal Justice. A few others are in the process and at various stages of passing the legislation. In effect, 28 states have not. 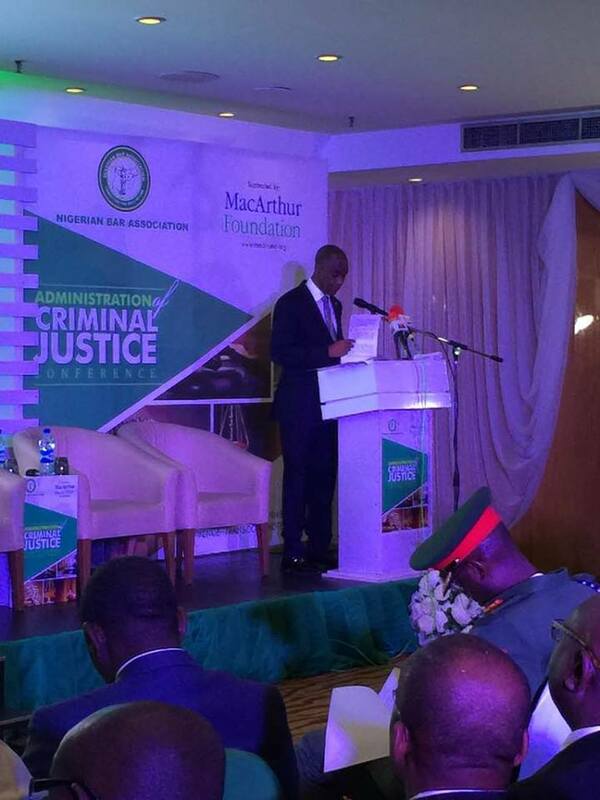 It was in this context that the Nigerian Bar Association approached the MacArthur Foundation with a project proposal to support criminal justice reforms in Nigeria and in particular to support the adoption and implementation of the ACJA. The Foundation as we all know, is one of Nigeria’s strongest partners in the promotion of sector reforms and indeed provided substantial funding to support the enactment of the ACJA in the first place. The administration of criminal justice project supported by the MacArthur Foundation falls squarely within the thematic areas set out in our Strategic plan and include: Justice Sector reforms, rule of law and access to justice, elections and democracy, human rights, anti-corruption and lastly conflict resolution & transitional justice. I am happy to say we are making progress in each of these areas. 2. Promote the smooth implementation of the new criminal justice regime which the ACJA represents, by building stakeholders’ capacity within the 28 states. The grant to the Nigerian Bar Association is the sum of $1.8Millon (United States Dollars) to be disbursed over a period of 3 years and covers activities aimed at promoting widespread criminal justice reform in the country. We will also aim to achieve the domestication of the ACJA 2015 in 28 states of Nigeria. The NBA seeks to facilitate the smooth implementation of the new criminal justice regime, which the ACJA 2015 represents, by building Stakeholders capacity for change. a. Advocacy and provision of technical support to the state with a view to guiding them to domestication or adoption. b. 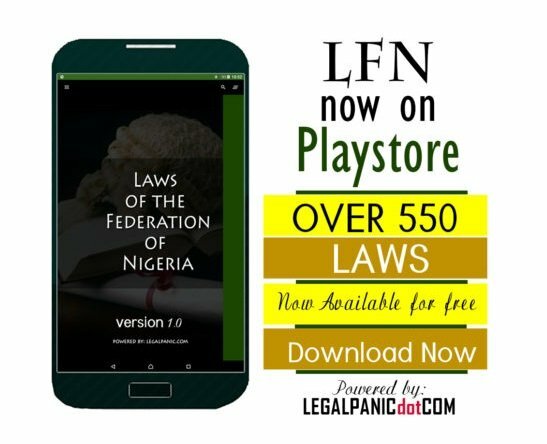 Provision of continuing legal education to stakeholders. This training will be deployed in partnership with Nigerian Institute for Advanced Legal Studies (NIALS). The NBA envisages that the project will be implemented in three phases over a period of thirty-six (36) months in twenty (28) states, which are yet to domesticate the ACJ legislation. The twenty-eight states will be divided into 3 groups which will be spread across the years 2017, 2018, 2019. The states that will be selected for each year and phase will reflect all the six (6) geo-political zones of Nigeria. a. Project Management Team: There is a project team in place whose members shall be dedicated to this project from commencement to conclusion. The project team shall be responsible for overall co-ordination of all national, state-level and NBA-ICLE project activities. 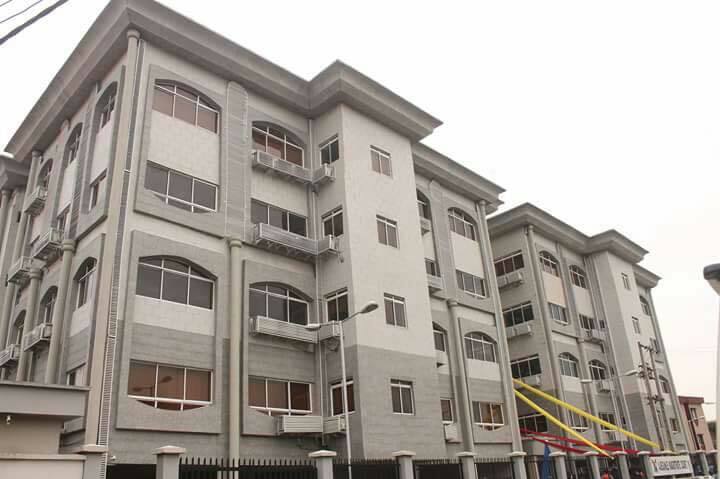 The team will also supervise the administration of State Committee Secretariats and monitor the execution of the project activities and accountability for project funds. The team comprises of Project Co-ordinator, Programme Officers, Project Officers, Finance & Administrative Officers, Information and Communication Technology Staff. b. State Committees: These Committees shall comprise members of the NBA who have developed expertise in Criminal Justice. The State Committees shall be assigned state level tasks under the supervision and direction of the project team. 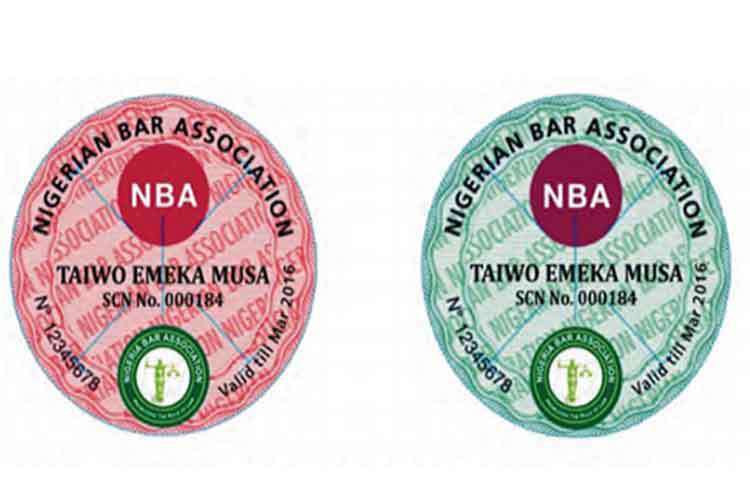 c. NBA Institute of Continuing Legal Education (ICLE): The NBA-ICLE shall drive the Continuing Legal Education part of the project. The ICLE shall house the e-learning portal through which online training will be deployed. The ICLE shall also award certificates and credits to lawyers who receive training. d. Selected MacArthur Grantees and Technical Partners: The NBA shall also seek partnerships with selected grantees of the MacArthur Foundation and other technical partners such as the Nigerian Institute of Advanced Legal Studies (NIALS), CLEEN Foundation, UNODC (United Nations Office on Drugs and Crime) and the Department For International Development (DFID) for technical assistance on the drafting of model laws and development of content for CLE. We shall largely leverage on information and communication technology, ICT, in driving this project. We propose to launch an Administration of Criminal Justice Website which shall serve as the information hub and the go-to site for information regarding criminal justice administration in Nigeria. We shall also design a portal for online delivery of continuing legal education training. My Lords, distinguished colleagues, I will like to use this opportunity to register our gratitude to our friends and partners at the MacArthur Foundation for finding the NBA a worthwhile partner for support and collaboration. I will like to thank our team at the, the Office of the President OPNBA, the National Secretariat, the General Secretary and other National Officers who have worked tirelessly to ensure the take-off of this project. Finally, our profound appreciation goes to the Chief Justice of Nigeria, the President of the Court of Appeal, the Heads of various Courts, all the Chief Judges, their Lordships, the Honourable Attorney General of the Federation, the Honourable Attorneys-General of the 36 States, all Senior Advocates of Nigeria, all senior counsel and all our resource persons. Our appreciation to our branch Chairmen and leaders across the country, and our learned colleagues and gentlemen of the Press who are here for identifying with this worthwhile initiative. The Nigerian Bar Association will continue to count on the support and cooperation of all our participants and partners in implementing the outcomes of this conference without any delays. This project is huge as it is ambitious. To achieve our objectives and the desired impact will require the unalloyed support from our members and other stakeholders. We therefore call on our members and stakeholders to support us and join us as we embark on this journey. Once more, I welcome you.